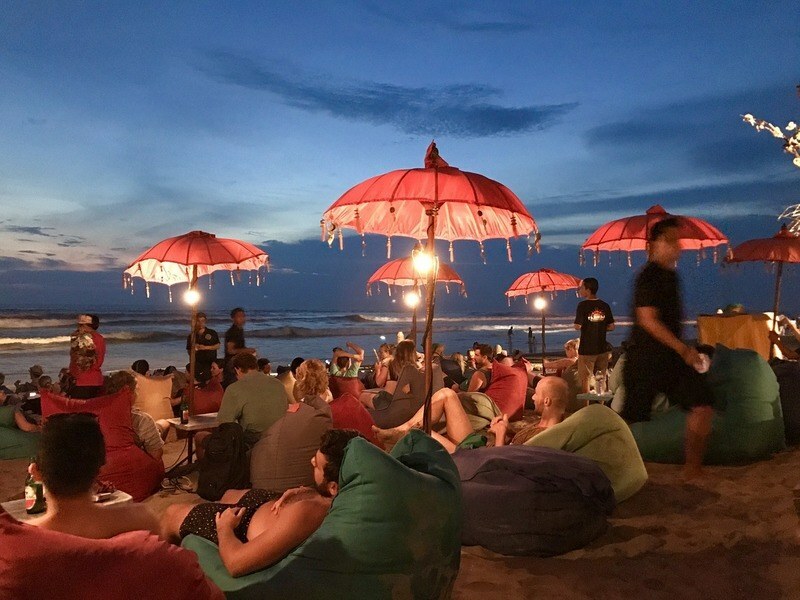 Year on year, Bali grows in popularity as a hotspot for digital nomads. On this stunning island, workers with wanderlust fulfill their fantasies of dream lifestyles with cheap and convenient working conditions – the three main requirements for most. 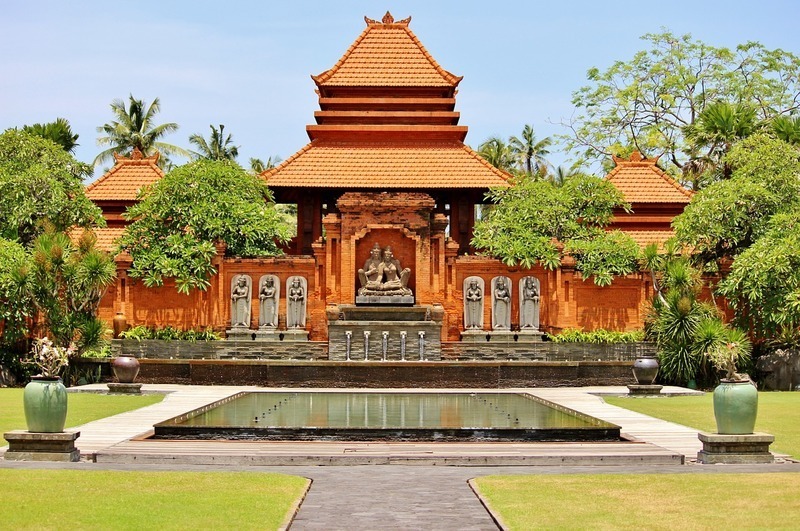 On arrival in Bali, it’s tough not to be bowled over by incredible landscapes, unique architecture and epic sunsets. Yet there are so many more things about Bali that guarantee a steady stream of nomads through its new airport. Countless cafes and co-working spaces offer comfortable working conditions, as well as delicious aromatic coffee and local cuisine. In terms of environment, you can choose between golden sandy beaches and inner city life; both have their own allure. Wherever you are, you won’t be far from emerald green rice terraces, intricately decorated temples and exotic wildlife. In terms of activities, you can do everything from trekking to yoga and surfing, and there are all kinds of events happening every day. Those who love the local culture can attend or watch local rituals and ceremonies as often as they please. 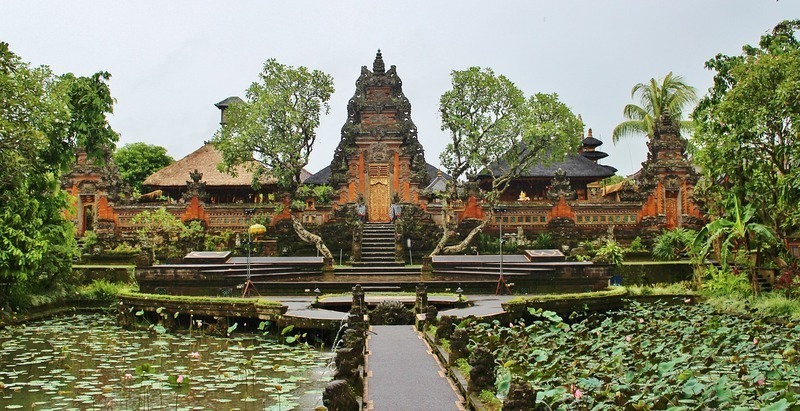 Ubud is Bali’s most popular nomad destination and one visit here will explain this. 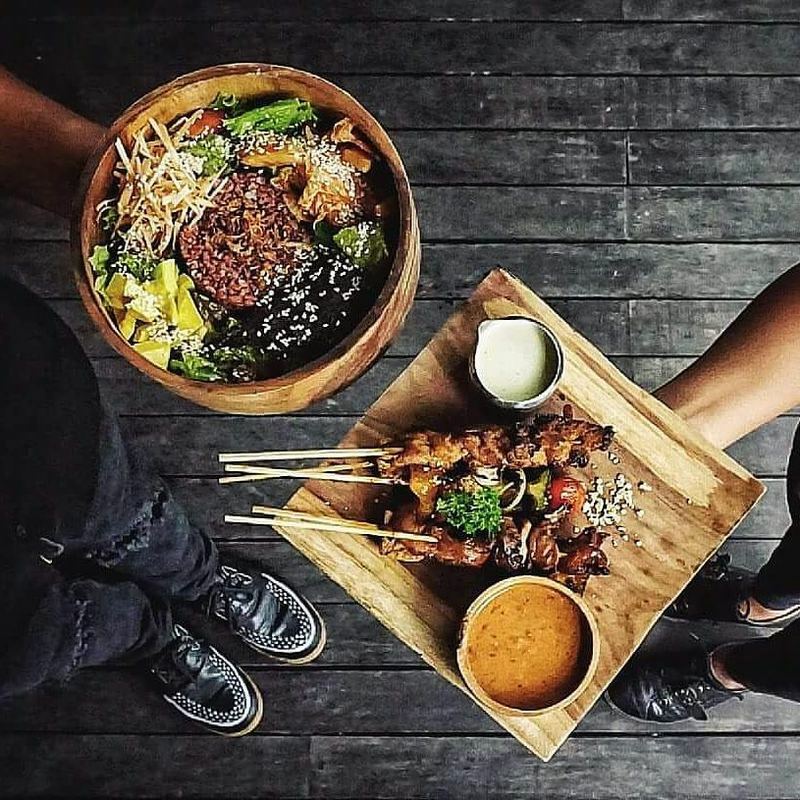 Ubud calls to people who enjoy healthy lifestyles – there are vegetarian and vegan cafes with creative food options, and a world famous yoga centre, The Yoga Barn. Ubud is seen as a kind of hub for spiritual people on a quest for self-exploration and rich experiences. 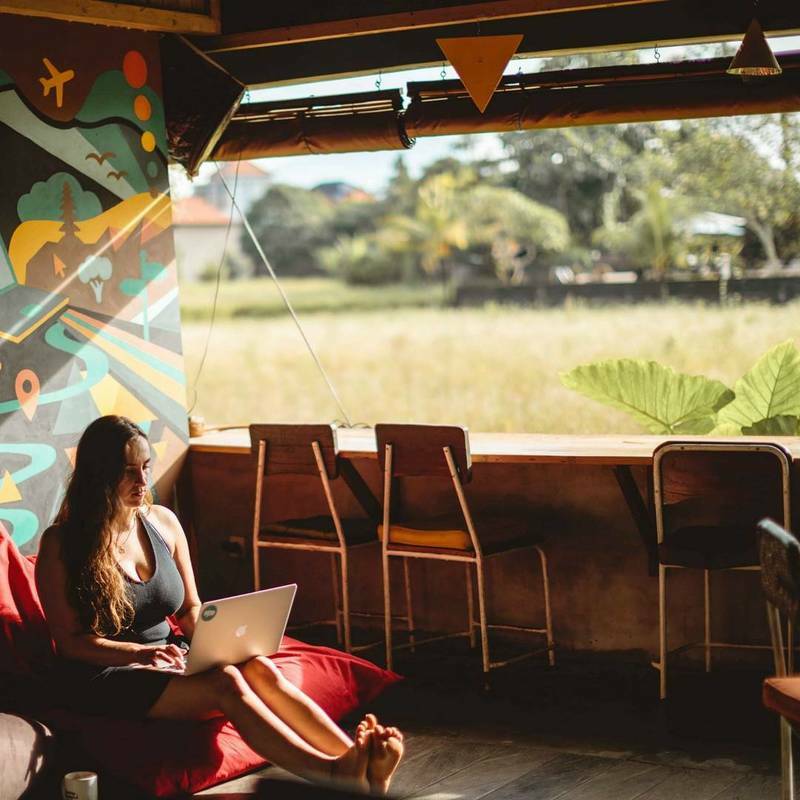 Co-working space Hubud is one of Ubud residents’ favourites. You can meet plenty of other nomads here, so it’s great for making friends and connections. The place is constructed beautifully from wood and bamboo, and you can see gorgeous rice fields just outside. You can also dine in the raw food café when you’re hungry. What’s not to like? Another great co-working option in Ubud is The Onion Collective. It’s up there among the most popular picks because of its swimming pool and chilled vibe. It’s another space with a great restaurant and you’ll get to listen to live bands at night. You can even pay what you can afford to work there! If coffee shops are more your thing, check out Kismet Cafe, where you get excellent vegetarian food. The seating is good and you can plug in easily – fast Wi-Fi is probably the main selling point though. There is also Seniman coffee shop. Coffee lovers head here for the flavoursome, classy coffees on offer. Wi-Fi isn’t as good as the co-working spaces, but it’s doable for general tasks. A couple more worth checking out are vegan cafes Sage and Sayuri, both of which have great food and fast Wi-Fi. If inland Bali doesn’t appeal as much as the beach, you can find what you’re looking for right there on the coast. 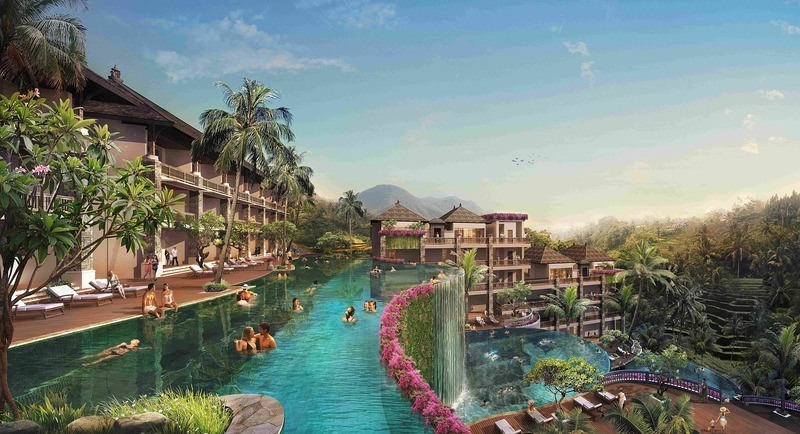 Popular coastal areas include Sanur (Denaspar), Seminyak, Legian, Kuta and South Kuta. However, Canggu seems to be a little more geared up for the nomad lifestyle. 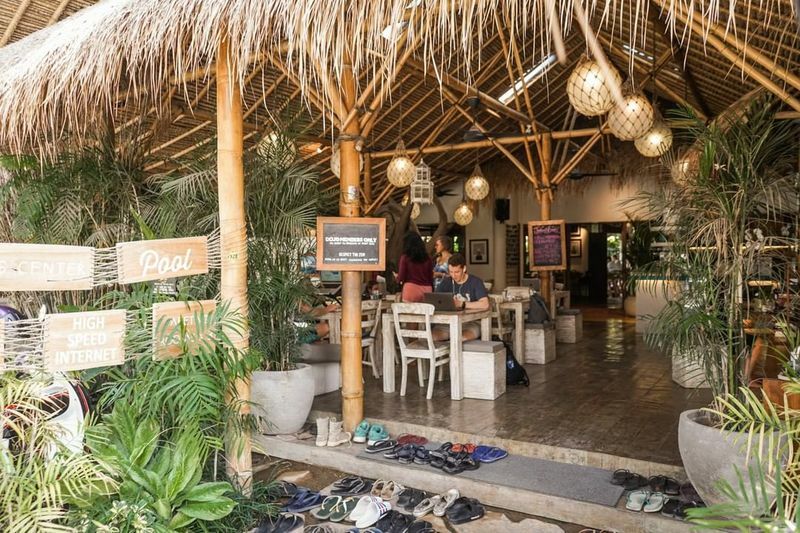 Canggu is popular with surfers, yogis, vegans, hipsters and of course digital nomads. You can find Canggu about 20km north of Seminyak. The whole of the beach area is known as ‘Canggu’ and stretches across 8km, but it is split into sections. For accommodation, plenty of digital nomads seem to prefer the area south of Jl. Raya Canggu road, which is near to the sea. Other popular spots are Echo Beach, Umalas, Kerobokan, and Batu Bolong. There are so many, you’ll probably want to come here and check them all out before deciding. Dojo, near Echo Beach has fibre-optic Wi-Fi, an outdoor seating area, and a lovely swimming pool. They host regular networking events to help you connect with fellow nomads and business contacts. C’ugh House in Berawa offers breathtaking views and an excellent restaurant. The facilities are super-comfortable and the place is spread out over three tiers; you can choose between membership and drop in, etc. You get what you pay for, so that includes free restaurant Wi-Fi, or fastest Wi-Fi and air-con for members. You might also like Rou Coffee & Co-Working, in Umalas. It’s a very nice coffee shop (despite the label co-working space) and it doesn’t ask for any fees; you’ll simply need to order coffee and/or food and you can take advantage of their fast Wi-Fi. 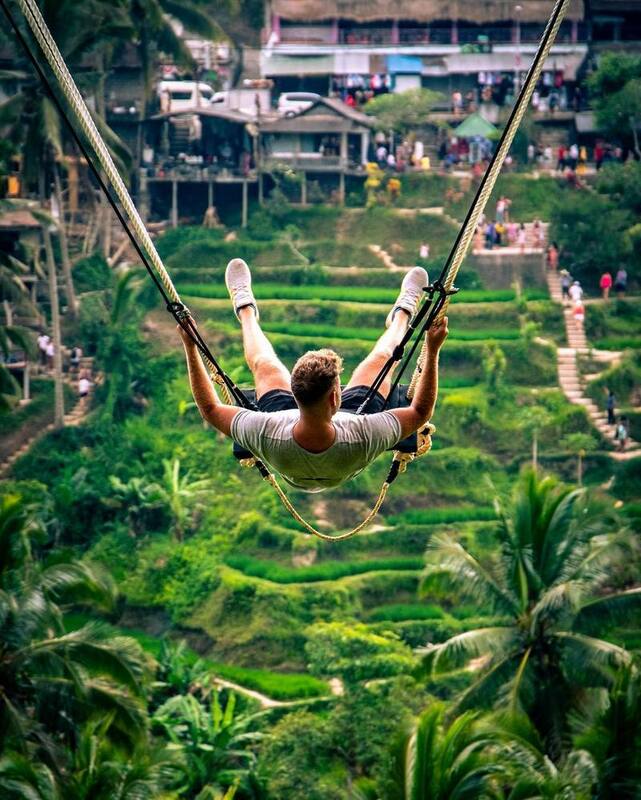 It’s easy to get hooked up to the net in Bali. You can choose between 4G, fibre-optics and Wi-Fi (with reasonable connection speeds), depending on where you’re situated. Hotels and cafes provide Wi-Fi, but you’ve also got the option of setting it up in your rented house or villa, if it isn’t already. A SIM card with 4gb of data won’t cost you more than $6 per month, and that should cover most digital nomad activities – in terms of connection speed at least. There are also lots of co-working spaces designed with digital nomads in mind; all your needs are covered and internet is usually at its fastest and most reliable. Although living costs can vary quite a lot in Bali, you could estimate spending between $500 and $1000 dependent on how you plan to live. At the lower end of that scale you’ll get simple accommodation and cheap local food. At the higher end, you’ll get a house or villa with a pool, plenty of activities each week, co-working, and decent meals out. It’s not difficult to find what you’re looking for in Bali; every area has its own charms but most will cater for your working needs. Comfortable and reasonably priced accommodation is easy to come by, and you couldn’t get bored if you tried. Have fun in Bali! About The Author: Cal Bailey runs Mountain Leon – a travel blog he started after two years on backpacking around the world. If you want to learn more about his life and travel experiences, make sure can read his latest article which is a guide to selecting the right gun magnet.